Etsy’s been at the forefront of employers that offer extended paid leave benefits and other family-friendly work policies. However, that hasn’t helped the makers’ marketplace–whose sellers are 87% women–to move its workforce diversity needle much. The company touted its gains for women in its 2016 workforce progress report. 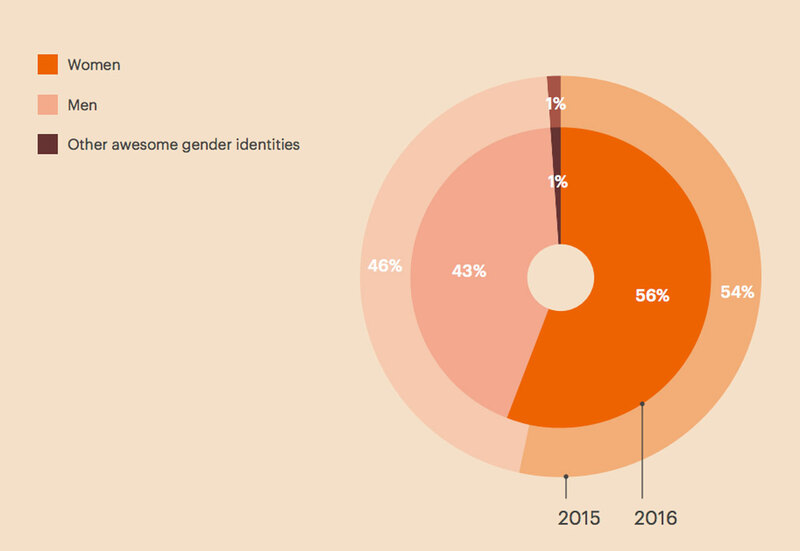 Globally, 56% of its staff identified as women, a 2% bump from 2015, and the board was 50% women. By comparison, the U.S. average for women’s representation on boards is just 19.9% at S&P 500 companies. However, while the racial and ethnic diversity of the workforce did have year-over-year increases in the number of employees from underrepresented racial and ethnic groups, they weren’t substantial. Among the U.S. staff (the only country where they are counted) they remain a very small minority. 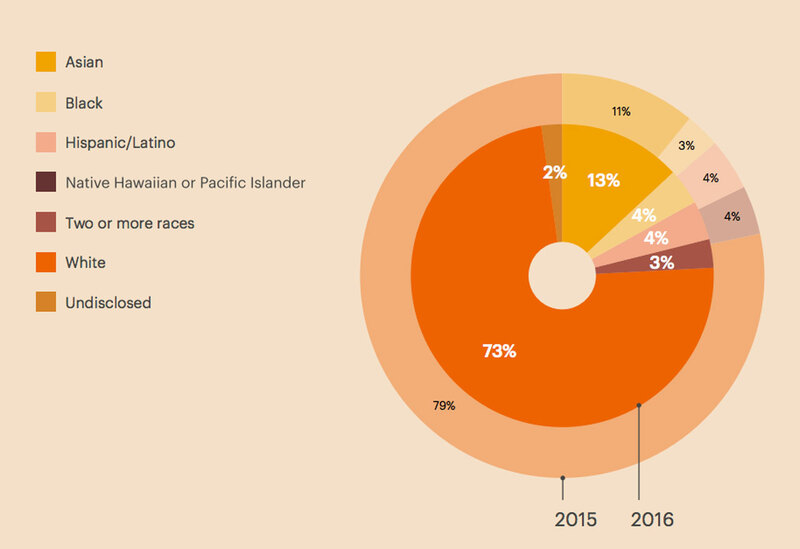 Overall staff is 73% white vs. 79% last year. Leadership remained unchanged at 77% white. Tech staff globally is 61% male, with engineering specifically 72% male. In the U.S. whites accounted for 67% of engineering staff. Globally, most workers (64%) fall between the ages of 25-35. Less than 10% of staff are over 40.